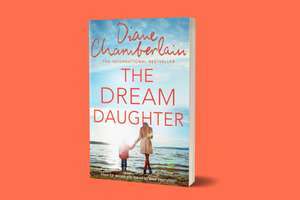 O2 Priority customers can get The Dream Daughter book by Diane Chamberlain for £3.99 with the O2 app. I'm not a huge reader myself, but whenever the WHSmith deals are on, I do stop by pick up a copy and finish it to the end when they're on offer It's a good way to get back into reading, or for reading on train journeys etc. Definitely made commutes more enjoyable! They also do childrens books sometimes also. Next best price I could find was £5.75 from Amazon etc. When Caroline Sears receives the news that her unborn baby girl has a heart defect, she is devastated. It is 1970 and there seems to be little that can be done. But her brother-in-law, a physicist, tells her that perhaps there is. Hunter appeared in their lives just a few years before - and his appearance was as mysterious as his past. With no family, no friends, and a background shrouded in secrets, Hunter embraced the Sears family and never looked back. Now, Hunter is telling her that something can be done about her baby's heart. Something that will shatter every preconceived notion that Caroline has. Something that will require a kind of strength and courage that Caroline never knew existed. Something that will mean a mind-bending leap of faith on Caroline's part. And all for the love of her unborn child.